Boy, oh boy, do we have the perfect rug for Star Wars fans. We’r sure there are plenty of adults who would bend over backwards to make this an addition to their home. Doesn’t fit the decor? Doesn’t matter – a play room is the perfect location to get away with living vicariously through your kids… isn’t it? 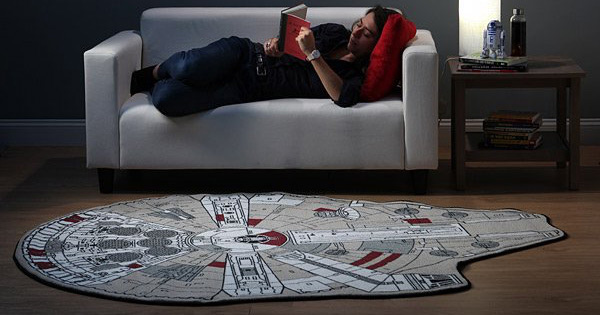 Paying homage to the iconic movies, the Millennium Falcon just got smaller, steamrolled flat and turned into a rug. An officially licensed Star Wars rug, the Millennium Falcon printed rug is made from 100 per cent polyester pile and measures approximately 150cm x 200cm. If you can’t get the Millennium Falcon printed rug passed for the playroom, maybe your tween’s bedroom or even a movie room will fare better. Still needing some ammo to get it across the line? Stress the importance of a well-rounded movie education and use the rug as a launching pad to introduce the movies to your kids and instil a healthy respect for the force. 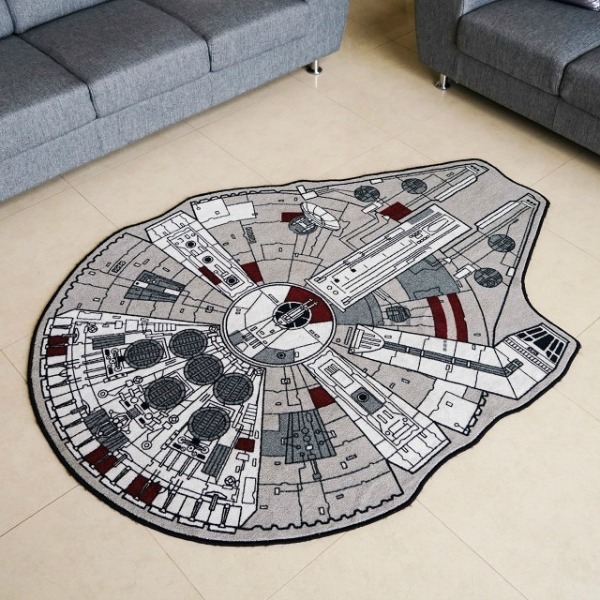 However you justify purchasing this rug, Star Wars fans will not be disappointed. 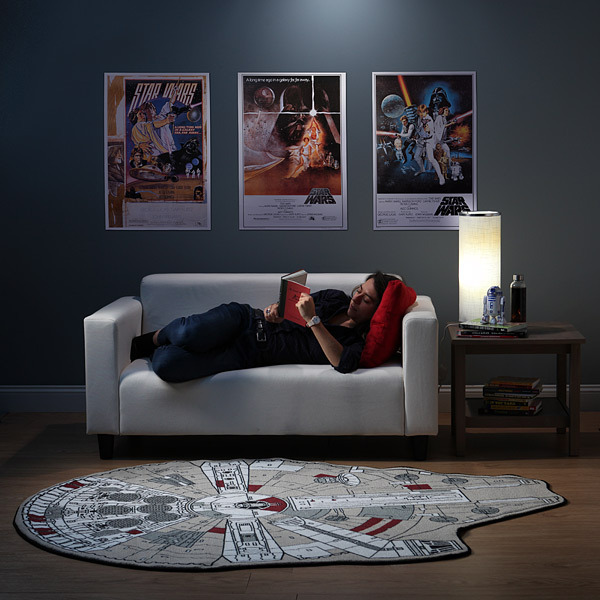 Purchase the Millennium Falcon printed rug from ThinkGeek – the company committed to nurturing the inner geek in everyone. It costs US$99 but if you’re outside of North America you’ll need a freight forwarder or a helpful friend to get it to you! Check our post archives for more Star Wars goodness, including these brilliant Star Wars alphabet posters and fun Star Wars car decals.